With both teams 3-0 in the Ivy League, the Big Green took on the Harvard Crimson Friday night in Cambridge for a match that likely determined the conference champion. Most people can agree that watching the game on TV or catching up with the highlights is not the same as being there in real-time. It’s a full experience that’s defined by the little things. To help you feel like you were there, Dartbeat has created a narration of that experience (complete with GIFs, of course). They made me dump out my water. As a Californian, I was very upset. Overhearing Harvard alums trying to namedrop what schools their children are currently attending or where they will be vacationing next. Passed by an army of young men in various bow ties. What is this place? Feeling out of place wearing Birkenstocks and socks. Fans on the Harvard side are already all sitting down. Such spirit. We scored a field goal and a touchdown. Yay, football! That feeling when you get an interception right before the end of the half. 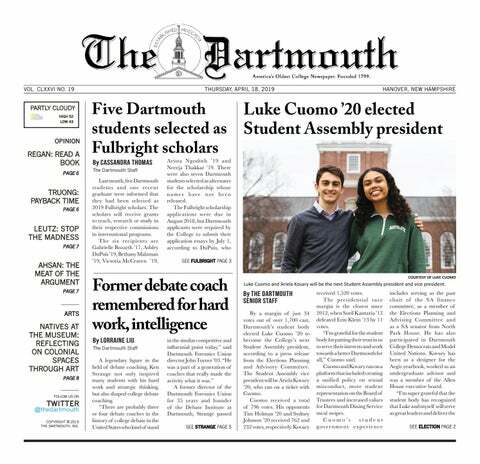 Overheard Harvard student: “Dartmouth is just so much more spirited than we are…” We know. Some people left to go visit other friends in Boston. Do I regret staying? No. Cider costs $3.50 for like 10 oz., what the heck? My friend’s mom spotted us on TV and sent us a quality stalker pic. Spooky. We stopped them when they were first and goal on the one-yard line. FOUR TIMES. We had the perfect moment to start an “I Believe” cheer. It didn’t happen. So many regrets. Harvard thought they intercepted the ball in a final play and everyone rushed the field. Then they had to awkwardly return to the sidelines. WALK OF SHAME. Realizing that we lost (on a field goal block). Why do bad things happen to good people? Knowing that your team left it all out on the field and that you would rather be a Lone Pine than a Crimson any day.